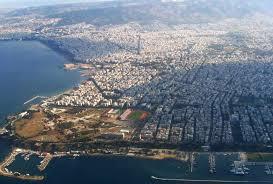 Thessaloniki - a large city founded by the Macedonian king Cassander and named after his wife. This is the northern capital of Greece with developed infrastructure and the status of the resort city on the background of the size of about a million residents! This is a rarity, as Thessaloniki is also an industrial center with many factories and enterprises. Thanks to this combination, properties in Thessaloniki are convenient not only for recreation, but also for moving to a permanent residence. Greece has a great climate and a sea, friendly locals and excellent conditions for running your own business, especially in Thessaloniki. The city offers excellent access points: a port, which occupies the second place in terms of cargo turnover in the country, a metro, which is scheduled to be launched in 2016 and the Macedonia Airport, providing worldwide air transportation of passengers. It is ease to find work in many areas – this is a major center of both trade and production in the areas such as pharmaceuticals, tobacco and food production. The rich cultural life of the second Greek capital is represented by many festivals, concerts, and the fact that the city was recognized in 2014 as a "European Youth Capital". The town is also a student center, a favorite of many young people with its night clubs and discos. A lot of the monuments of Christian and Byzantine architecture in its territory are included in the UNESCO World Heritage List. The main architectural heritage of Thessaloniki - the famous White Tower. As for the cost of housing in the city, it is almost one of the most affordable in Europe. You can buy a three-bedroom house near the sea of about 100 square meters for just 70 thousand euros, and a small studio apartment also close to the sea - for 25 thousand. Suburbs are even cheaper. Buying a property in the city is not complicated for foreign investors. This is a profitable investment in terms of both a permanent residence and rental earnings, as the demand is determined by a large number of tourists, businessmen and students.